﻿ Fast Shifnal Computer Data Recovery, Shifnal USB Drive Data Recovery, Student, Office and laptop data recovery. Shifnal Computer Data Recovery includes Haughton Computer Data Recovery, Sheriffhales Computer Data Recovery, Kemberton Computer Data Recovery, Tong Computer Data Recovery and Computer Data Recovery in the surrounding villages. New for 2018; we now offer USB flash drive data recovery and Shifnal student data recovery. 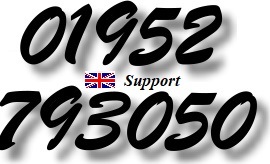 eg; we offer Idsall School Shifnal Data Recovery. 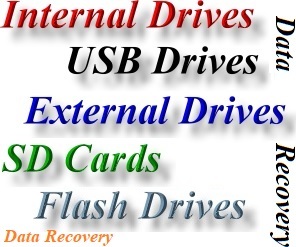 Also; we can Recover Data from faulty USB Drives in Shifnal, we can Recover Data from faulty Hard Disk Drives, we can Recover Data from faulty Solid State Drives, we can Recover Data from faulty SD Cards. Note; we offer discount Shifnal students school data recovery, discount college data recovery and discount university data recovery. We have also recovered Wedding photos, recovered family photos and recovered business documents from faulty hard drives, faulty USB drives, faulty Solid State Drives and faulty SD cards. 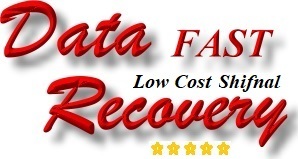 We offer a same day Shifnal Data Recovery service and we can usually recover documents, recover photos, recover school work, recover college course work and recover university course work even if the device cannot be opened by Windows, if the device has been wiped (erased) or formatted. We offer 2.5" Hard Drive Data Recovery in Shifnal, 3.5" Hard Drive Data Recovery in Shifnal, USB Drive Data Recovery in Shifnal, SD Card Data Recovery in Shifnal. If the computer is predicting hard drive failure, the computer should not be used. For many years, hard disk drives have incorporated Smart Technology which predicts hard drive failure. If your hard drive reports; "SMART Hard Drive Detects Imminent Failure" the hard drive should be replaced immediately. 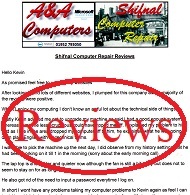 A&A Shifnal Computer Repair often successfully clone the hard disk onto a new hard disk drive or onto a much faster SSD drive (see Shifnal SSD Upgrades). Our Shifnal Business Hard Disk Drive Recovery service typically involves either backing up a Business hard disk drive and performing a full reinstallation onto a new Hard Disk drive or to a SSD upgrade (an SSD drive will often double the overall performance of a computer), or we can usually clone the original hard disk drive onto the new hard drive or SSD. Our Same Day Shifnal Business USB Flash Drive Data Recovery Service usually involves extracting the lost data from the faulty USB Flash Drive. We then copy the extracted business data from the faulty USB Flash Drive to a new (genuine) USB3 USB Flash Drive. Please note; we understand that data loss can be critical. 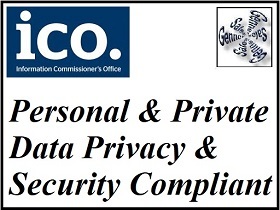 We can therefore also offer to supply the recovered data via email or download. 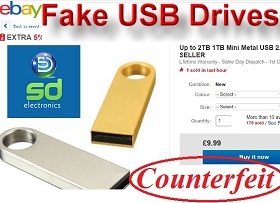 Online auction sites are currently awash with Fake USB Flash Drives. These drives are typically advertised as being up to 1TB (1000gb) to 2TB (2000gb) capacity whereas the genuine capacity is often up to 8gb. Our Same Day Shifnal Student USB Flash Drive Data Recovery Service usually involves extracting the lost data from the faulty USB Flash Drive. We then copy the extracted data from the faulty USB Flash Drive to a new (genuine) USB3 USB Flash Drive. Please note; we can also offer to supply recovered course work etc via email or download.